The US decision to withdraw from the Iran nuclear deal has left Europe partially paralysed. However, Europe can still exert significant leverage if it brings the rest of the Gulf into the discussion about a broad regional security process, writes Dr. Christian Koch. Dr. Christian Koch is Director of the Gulf Research Center Foundation in Geneva. Europe is still rattling under President Trump’s decision to withdraw from the Joint Comprehensive Plan of Action (JCPOA) as the Iran nuclear deal is officially known. Present assessments of the consequences range from an end to transatlantic relations to a new war in the Middle East, for example, a direct confrontation between Iran and Israel. Overall, Europe appears paralyzed. While official statements underline the commitment of the EU to the JCPOA, commentators quickly point out the actual limited leverage and power Europe has to keep the deal fully functioning. The threat of broad US sanctions and potential retaliatory measures on European companies also raise serious doubts whether Iran will still see the benefits on staying in the accord in the coming months. That being said, Europe can still exert a significant amount of leverage if it is ready to learn the right lessons out of the JCPOA experience. This includes acknowledging the shortcomings of the nuclear deal, putting forward a new set of proposals that fixes previous flaws, and most importantly, bringing the rest of the Gulf into the discussion about a broad regional security process. Simply lamenting the Trump’s administration decision will do nothing to prevent the negative spillover effects from occurring and the JCPOA from being put into the dustbin of history. The first thing is to acknowledge the nuclear deal’s clear shortcomings. The JCPOA did little to actually improve the regional security climate in the Middle East over the past 2 years. 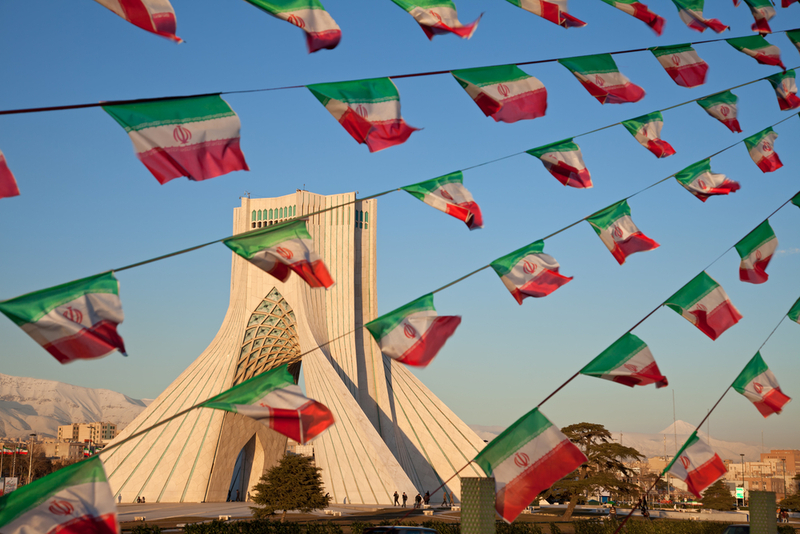 While it did place Iran’s nuclear program under severe restrictions, and provided terms that Iran has so far abided by, it merely postponed an actual solution to the issue to an uncertain time in the future. There is nothing to suggest at this stage that once the sunset clauses of the agreement expire that Iran would not pursue its nuclear ambitions once again. The JCPOA also did not deliver on other expectations. For Iran, the economic benefits that were suggested would come with sanctions relief did not materialize. As overall uncertainty persists, outside investment will remain hesitant. For most of the Middle East, the JCPOA umbrella allowed the Iran to expand its regional influence to the detriment of overall stability as seen in Syria, Yemen, Iraq and Lebanon. There is thus little to suggest that Iran would become more cooperative in the coming years of the JCPOA. The nuclear accord fell short because it was never sufficiently grounded in the wider security concerns and dimensions of the rest of the region. To put it bluntly, Europe failed immediately after the signing of the JCPOA to carry the momentum forward and engage Iran in wider regional security discussions. The result was a growing dissatisfaction by other states in the region, including Israel and the Arab Gulf states, with the deal itself and a sense that the nuclear agreement would contribute little to safeguard their security. In this context, President Trump found it easy to announce the US withdrawal. The question is what comes next. US Secretary of State Mike Pompeo announced a series of demands on Iran in his policy speech on May 21st. But his speech does not amount to much of a strategy. Leaving the Middle East without a JCPOA follow-up will also not contribute to its future stability. Instead, Europe must step in where neither the US, Russia or China appear ready to spend capital in the search for needed solutions. Europe must also undertake a new initiative given its deep investment in the JCPOA in order to not expose the EU’s failure as a competent and serious foreign policy actor further. Recent European suggestions of supplementary arrangements are the right place to start. A new initiative must however bring the Arab Gulf states into the discussions. These countries endorsed the JCPOA only half-heartedly given that they were never part of the actual negotiations. Thus, the JCPOA felt more like an imposed agreement rather than something on which they intricately consulted and involved. Contrary to many news reports, the GCC states are not in a better position as a result of the Trump administration’s decision and in fact have deep concerns about what comes next. The cancellation of one agreement without a sufficient replacement is for them highly problematic. After all, any conflict in the region impacts them first and foremost. US trustworthiness is another issue. Here, increased foreign policy activism by countries like Saudi Arabia and the UAE in recent years is due to the realization that the US cannot be relied on to play the role of security guarantor for the Gulf as in the past. This skepticism opens the door for Europe to draw the Arab Gulf states into the discussion about a regional security arrangement. While for the GCC states, the objective remains to stop the further expansion of Iran’s regional role, it is equally essential that new measures now being contemplated lead to a new agreement and not to a new conflict. In order to come with a viable alternative, Europe needs to take the security concerns of the Arab Gulf states more serious than they have in the past. Since the US withdrawal from the accord, the EU’s High Representative Frederica Mogherini has held several rounds of talks with Iran’s Foreign Minister Zarif but none with Iran’s other neighbors who are just as impacted by the US decision as is Tehran. Europe is absolutely right to continue pushing for diplomatic alternatives in order to prevent a wider conflict from breaking out in the Middle East. At the same time, such diplomacy must also be strong and reflect reality on the ground. It is therefore time for Europe to show that it can indeed be an assertive and competent security actor in a world increasingly in disarray.